Make Sure Your Store's Covered. While customer service is the key to success in today's C-store marketplace, payroll remains a primary expense. This makes finding the right balance of store staff at any given time more important than ever. Transaction Analysis' Store Staffing Analysis report can help you determine the appropriate mix of cashiers at the appropriate time because it measures the quantity of transactions taking place at any particular hour. If you only have 30 transactions per hour after 7:00 p.m., for instance, then you're wasting money by paying more than one cashier to be onsite. Likewise, if one clerk is handling 80 transactions per hour on a weekday morning, you're probably overworking the clerk and slowing the churn of customers through your store. 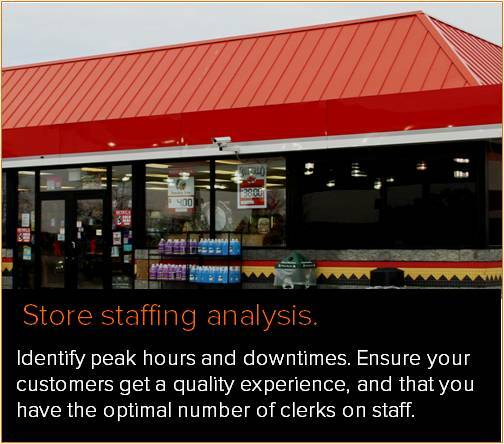 The Store Staffing Analysis report is a simple way to make crucial decisions about scheduling your staff. The report below analyzes a month of transactions at a single site. Users are allowed to type the quantity of customers per hour a clerk should be able to process. Our default is 40. The line graph displays transaction quantities per hour for an average week during the month analyzed. 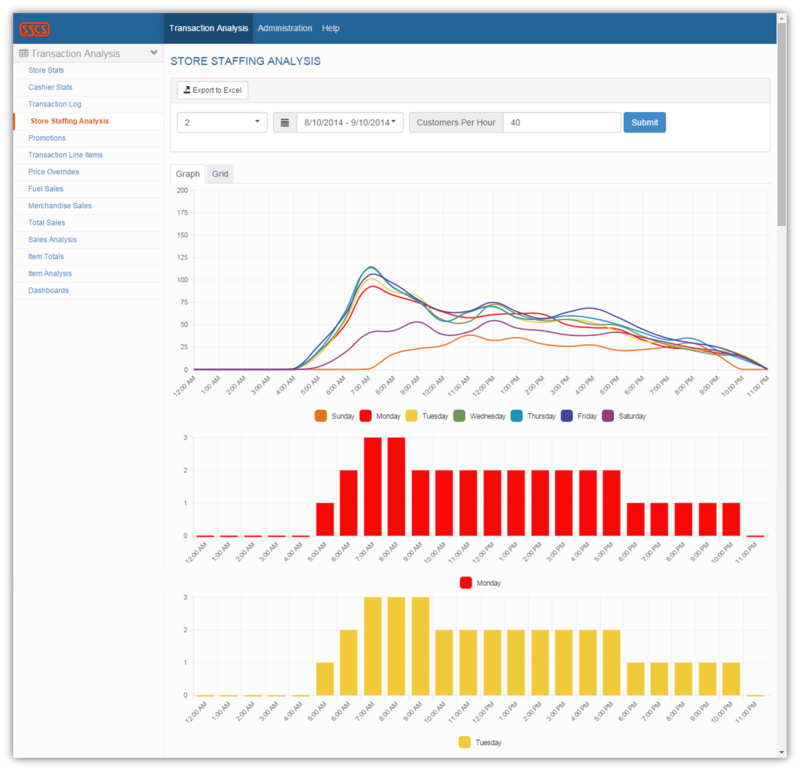 Below the line graph, seven bar graphs show recommended staffing for each day of the week, assuming that upcoming traffic patterns will remain relatively similar those during the time period analyzed. With Store Staffing Analysis, your site staffing structure will be optimized to the quantity of transactions actually happening onsite.